PWP’s appraisal fees are competitive and are based on an hourly rate per appraiser plus any applicable travel and out-of-pocket expenses. We do not charge by the item. Contact us for specific terms and fees associated with the appraisal of your property. All estimated fees will be provided and agreed upon before commencing any appraisal work. We require a deposit of our on-site inspection fee at the time of the inspection unless other arrangements have been made in advance. The balance of the fee will be invoiced and payable upon delivery of the final appraisal report. Do you ever charge a percentage of the appraised value? No, that is an unethical practice, and PWP does not participate in that practice. How do you handle an appraisal of an item that is outside of your expertise? No one is an expert in everything. An expert in fine art may only be an expert in 18th century French portrait artist, while another may be an expert in 20th century American California painters. A good appraiser has a clear understanding of his or her level of expertise and knows when to call in a specific exert. PWP appraisers are experts in many areas and generalists in others. We have an extensive network of experts, historians, authenticators, and researchers who are able to assist us when necessary. If the item warrants it we will discuss it with you prior to engaging a specialist. Will you authenticate my antiques and fine art? Fakes and forgeries have been a part of the antique and fine art market since the first item was made. All one had to do was admire the style and utilize the same methods, skills, and materials as the originator in order to copy a piece. 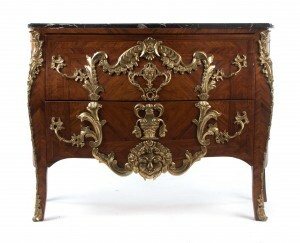 That is why we may refer to something as a Chippendale piece or a Chippendale style piece. The style piece is in the style of Chippendale, but not made by Chippendale himself. Authenticators are often individuals who have engaged in scholarly work over a career and lifetime studying the works of one artist. Very often the authenticator may have a scientific background and must use specialized equipment to examine the elements of a piece in order to offer an opinion as to its authentication. It can be very costly to hire an authenticator, and the scientific tests can be very costly The client must determine when it may be worth it financially to undertake such an endeavor. When necessary, and with your permission, we are happy to assist you through the authentication process with the proper person or entity. The appraisers on the Antique Roadshow always know exactly what an item is and gives the person an immediate value of their item, why can’t PWP appraisers do that? Because of our extensive appraisal experience and daily exposure to the market, we may know the value immediately; however, we adhere to strict report writing guidelines and research and develop appraisal reports accordingly. Value estimates and/or determinations provided by PWP are not 60-second sound bites that you might have seen on the Antique Roadshow. The Roadshow appraisers are vetted by specialty and their valuations are based on sound factual information, which they are able to research more fully either prior to the on-site interview and/or after the show has been taped. If corrections are to be made, they are done post-production and corrected before being aired. Will you provide me with a verbal approximation of value? Our Scope of Work will help determine whether a verbal approximation of value is appropriate. When parting with possessions, many of our clients ask for a Verbal Approximation of Value in order to make the appropriate decisions for disposition of the personal property. This is not an issue for nominally valued items and for which we may have extensive knowledge; however, for highly valuable items, extensive market research may have to be completed and a formal appraisal report prepared.